On the same day of its world debut The New York Times Wheels page has reported Mercedes-Benz plans to bring their all-new B-Class to the United States in the coming years. This isn’t the first time Mercedes’ has toyed with bringing a compact vehicle to U.S. shores. The Concept A-Class made its world premiere at the 2011 New York International Auto Show in April. The reasoning behind the move might seem simple enough. In the past four or five years Mercedes-Benz has fallen behind arch rivals BMW and Audi in an ongoing battle to control the compact luxury vehicle market in the U.S. BMW has the 128i, 135i and more recently, the 1M Coupe. Audi has countered BMW with their five-door A3 Sportback. Although Mercedes’ has sold small, compact luxury vehicles in other markets for years the prospect of making them a success in the SUV-obsessed U.S. is a risky proposition. Not only does Mercedes have to contend with opposition from BMW and Audi, but they must also take into account the U.S. market as a whole. Typically U.S. drivers have been reluctant to put a premium of a small luxury vehicle. Instead of opting for the B-Class those with young families look to something family friendly like a minivan, or mid-sized SUV, while younger, performance-orientated drivers are drawn to lightning quick four-doors such as the Subaru WRX STI. According to Mercedes the European model of the new B-Class features a turbocharged four-cylinder engine with direct injection. Transmission choices include a high-tech dual clutch transmission as well as a traditional manual transmission. While many of the specifics might vary between the European and U.S. models major models aspects and options should remain relatively the same. 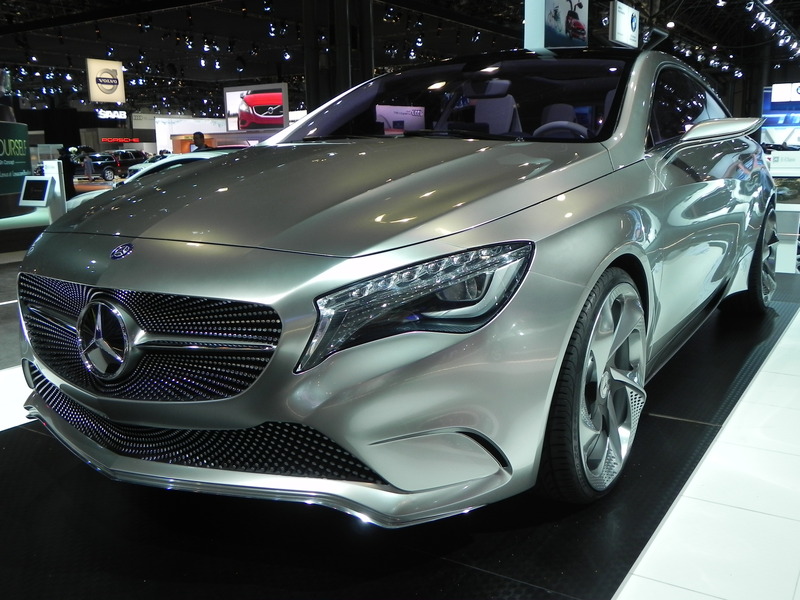 Only time will tell if Mercedes’ wager on bring the B-Class to America pays off. The B-Class is scheduled to arrive in European showrooms beginning in November. No arrival date for the U.S. has been set, but the Times’ article reports it should be sometime in 2013.